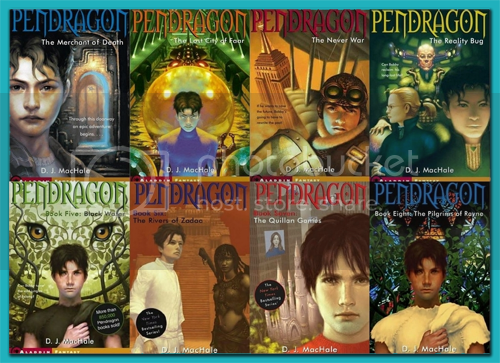 Story Review: A great series for tweens up to younger teens. A nice, safe way to move from middle grade to YA. Audio Review: I think these are great audiobooks for younger kids. They aren't awesome. The writing isn't superb to begin with, and the narrator has a very- ahem- interesting voice whenever he is voicing a female. BUT, they are very listenable and entertaining. And something I really enjoy about them is that the narrator is very good at growing up with Bobby. The series starts when he is 14, and ends when he is around 20 (I haven't actually read the last two books yet. Almost there!). Dufris does a great job of changing from a scared teenager, to a confident and powerful young man. I applaud him for this. My brothers (but most my youngest brother) listens to these. I find them cringe worthy. I don't like the narrator very much and the dialogue is terrible sometimes. But if it gets my brother reading, who am I to argue.